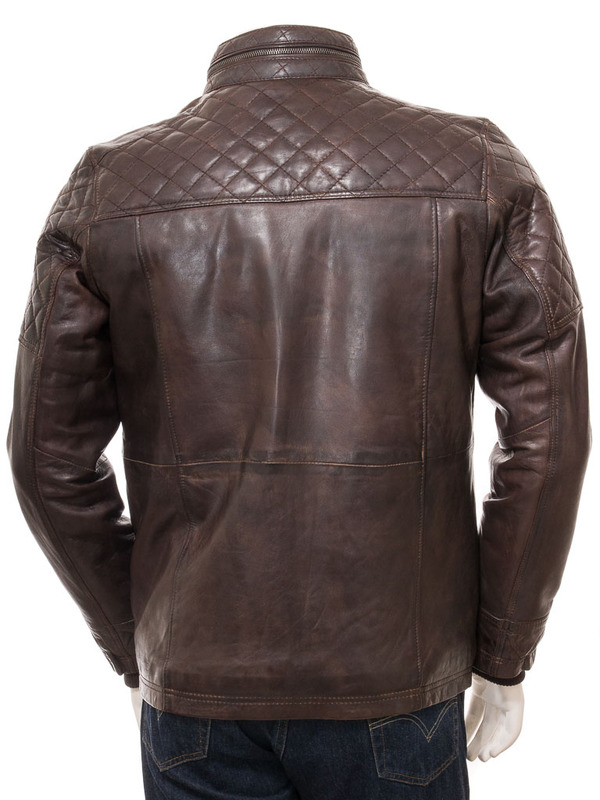 A richly detailed, brown leather jacket. 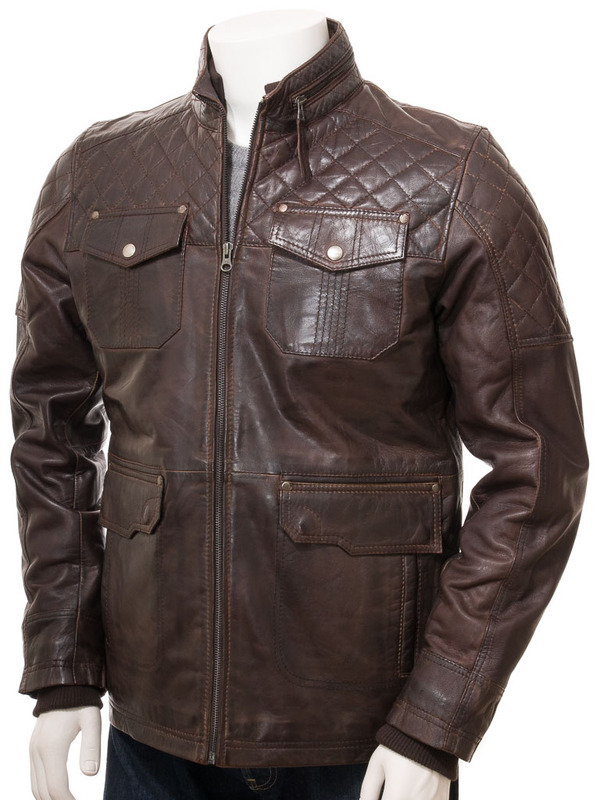 Slightly longer than the classic biker style this jacket sits just below the hips for additional protection from the elements. 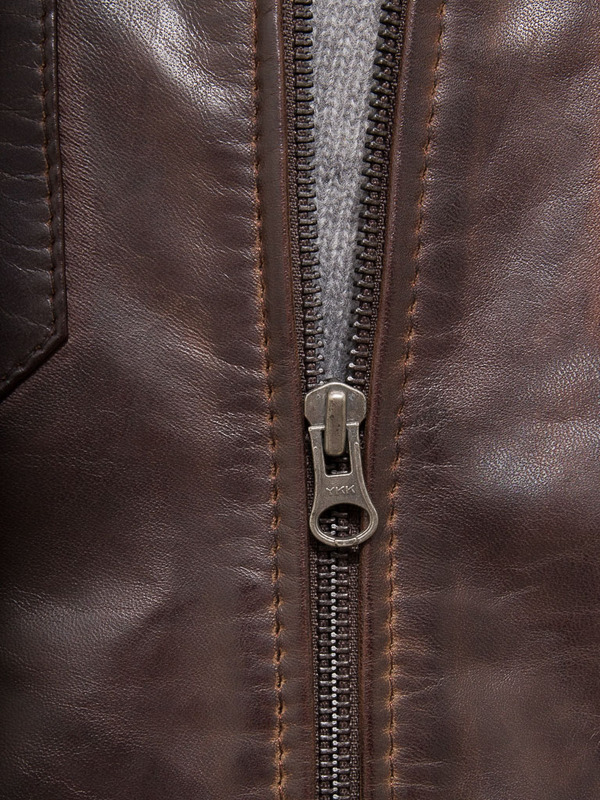 It is fastened with an exposed YKK zip which extends up to a stand collar with a zip circumventing it. 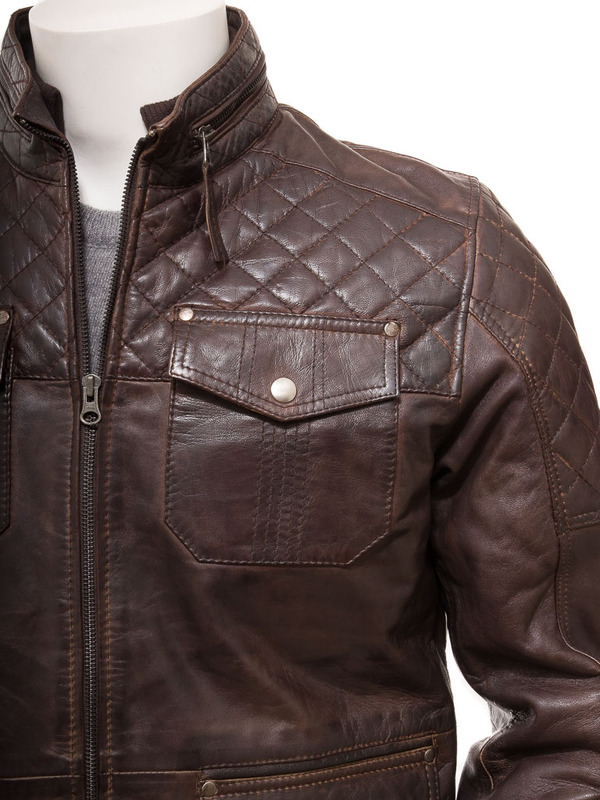 On the inside is an additional rib knit, stand collar for extra warmth. The top yoke and upper arms of this jacket are decorated with diamond quilt stitching and there are a total of six exterior pockets; two at the chest plus two patch pockets on the hips with side entry, hand warmer pockets. The cuffs also include an inner rib knit cuff while the interior is fully lined and incorporates two more leather trimmed pockets. One of these is zipped for extra security.